Christopher Nolan’s “Dunkirk” is a World War II spectacle that aims to tell a story of survival in an unwinnable situation. 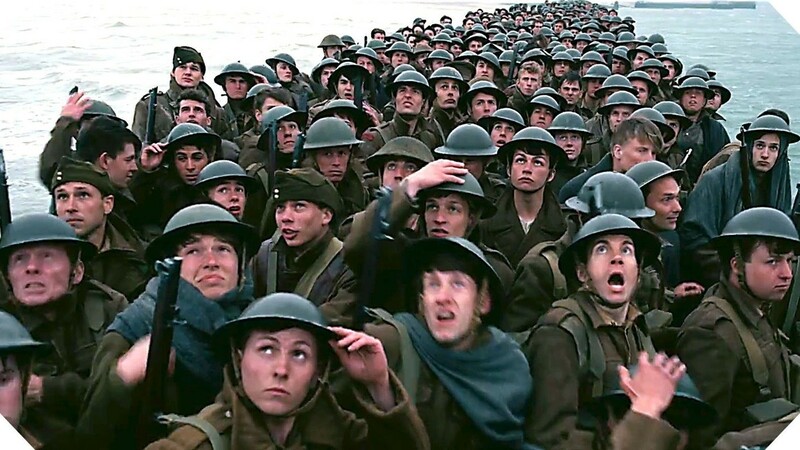 That situation (as most are probably familiar with) involves the time when many British soldiers were stuck on the beaches of Dunkirk, with no way to get home as resources were limited (and America had not yet joined the war effort). The thing about a situation like that is that everyone was affected by the lack of resources. Thousands of soldiers found themselves stuck in a location where they were likely to be shot and killed. Everyday citizens who decided to head the call and help bring the boys home did so without guns, weapons, or any way to defend themselves should their enemy stumble upon them. Whether you were a soldier or a boat man, on that day, you were simply a person who wanted to survive and go home. Therefore “Dunkirk” does not feature a main protagonist. Most of the characters have no name. There is no attempt to setup a back story for anyone. This is about a moment in time which everyone was desperate to live and many prepared to die. To make central characters to root for would be to miss the entire point of why the event was so scary, and Nolan knows this. This is a man who has directed some of the best character driven blockbusters in the last decade, so it’s not as if he doesn’t know how to make a movie like that. He is just smart enough to know that you can’t have a situation where thousands will die, only to have three to seven people you are emotionally invested in to live. At that point, the rest of the soldiers may as well be bugs to be stepped on (so for all the kids out there, this is why Academy Award-winning actor Mark Rylance gets the same amount of character development as a bit part from former One Direction singer Harry Styles). By streamlining the screenplay to focus on the event it gives the film makers much more freedom to depict a gripping, riveting event that takes your breath away with stunning action sequences and moral dilemmas where otherwise good people become monsters right before our eyes. 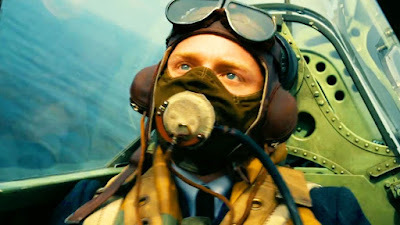 Nolan also wants you to feel the scope and grittiness of the event, and thus has filmed most of the movie in 70mm IMAX film, which gives the picture a greater scope (on a proper sized IMAX screen) and a scratchy look that emphasizes the dirty nature of the war (and even has the added bonus of looking like an old photograph). While most theaters will be showing the film digitally, I highly recommend you search out a film presentation, as it presents the most authentic look for the movie you are going to get. 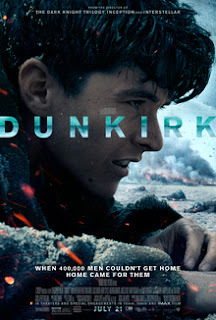 Aside from filming techniques and scope, the best thing that can be said about “Dunkirk” is that it, quite simply, a good action drama. It doesn’t get bogged down in the politics of the time. It doesn’t push a political agenda that needs to be debated on “20/20.” The movie isn’t even two hours long, which is important because it doesn’t overstay its welcome. 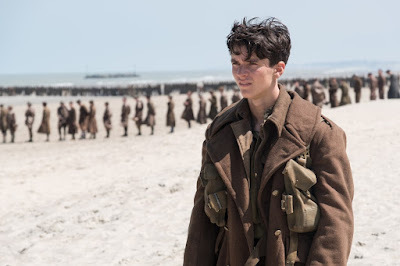 Many will be disappointed because Nolan’s previous films are so rich and complicated, “Dunkirk” is likely to come off as very straightforward. What it does extremely well is transport the audience into a life like situation. It gives audiences a chance to be fully immersed in a historic event that, thankfully, most will never have to subject themselves to in real life. Certainly, there are deeper and more complicated war films. There are war films that have more nuance to them. “Dunkirk” is a summer spectacle. In that area it succeeds very well, though I suspect war historians may want to keep their subscription to the History Channel if they want a more detailed visual representation of this historic event. Parents, as you can probably expect, there is lots of war violence to be found along with the PG-13 obligatory one time use of the f word. Very little of the violence is gory though. Recommend for ages 12 and up.